​Samuel and Alfred were totally unaware as our zodiac drifted slowly towards them. They had more important things to do - like catching as many salmon as they could eat. 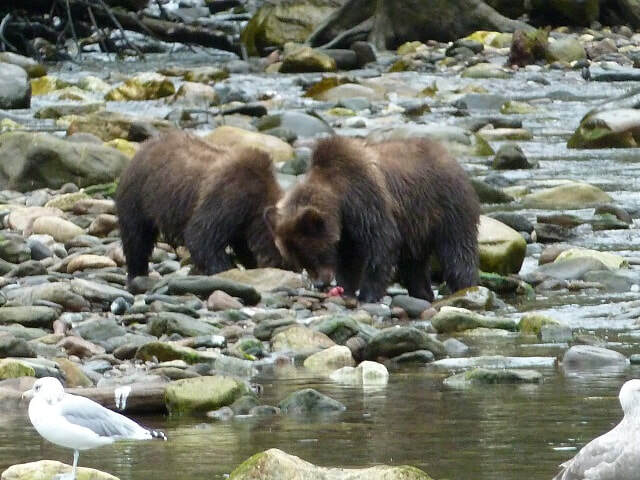 The two young grizzly bears were splashing around in a creek in the northern wilderness of British Columbia as we inched as close as we dare without them spitting out the salmon and opting for a human confrontation. 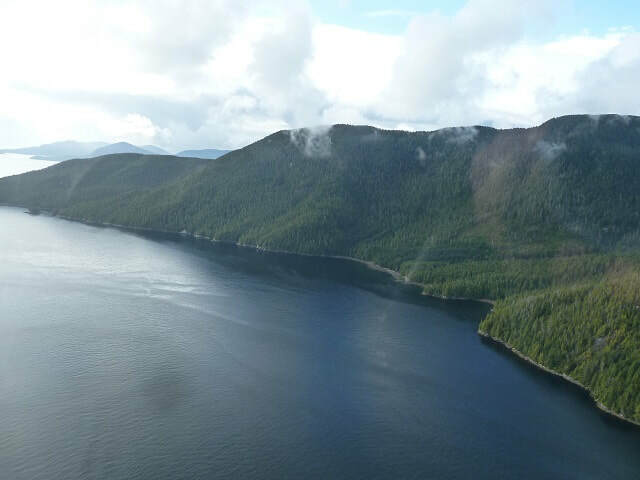 Getting to the wilderness area of Khutzeymateen (K'tzim-a-deen) Grizzly Bear Sanctuary - the only Protected Area of its kind in Canada - is an adventure in itself with a breathtaking seaplane flight from the port city of Prince Rupert. It takes just 20 minutes flying above surrounding mountains partially blanketed by ghostly low clouds before touchdown on the calm waters in front of the floating Khutzeymateen Wilderness Lodge owned and run by Jamie Hahn. a 22-year veteran park manager for British Columbia (BC) Parks. 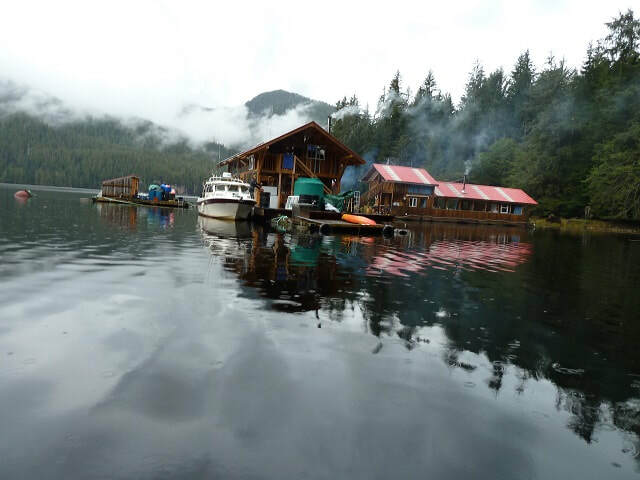 The lodge is sheltered by the Pacific Coast Mountain Ranges to the south of the Alaska panhandle on British Columbia's North Coast. 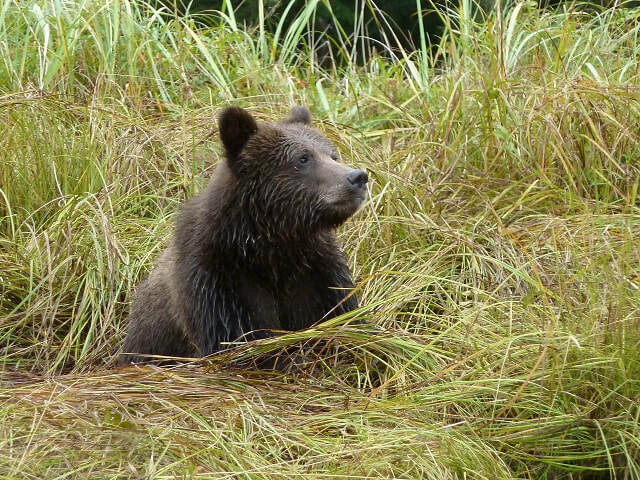 Here, within the traditional territory of the indigenous Tsimshian Nations, lives a healthy and indomitable population of up to 60 coastal grizzly bears. And twins Samuel and Alfred - named by Jamie - belong to the 'family'. Jamie, who also spent 15 years managing the Khutzeymateen Protected Area, set up the upmarket lodge with a partner two years ago - and the response has been overwhelming with visitors from Sweden, Germany, UK, Australia. US and Canada the biggest markets. One group has returned for a fourth time. As we set out on the 10-seater zodiac on the first of two wildlife 'expeditions' - the group, all donned in bright orange survival suits, was heavily loaded with seriously expensive cameras with some lenses as long their arm. It was 'bears here we come time' - and the happy snappers were ready for any sign of movement ashore. It wasn't too hard to find Samuel and Alfred. They were at the same creek as the previous day foraging away for the salmon that were rotting and about to die after spawning. For almost an hour, we watched their antics in the creek before they heaved their bulging bodies back onto land and came within 20 metres of the zodiac, seemingly oblivious to our presence. During springtime, the bears make their way to freshwater estuaries and creeks to graze on Lyngby's sedge (similar to grass).The new green shoots are high in protein and a staple of the grizzly bear's diet. And, according to Jamie, spring is also mating season as the inlet comes alive with adult males roaming in search of females will confront each other in an attempt to gain dominance for mating rights, but ultimately it's the female bear that chooses her mate. Seasonally, the bear viewing changes around the available food sources for the bears. At the end of July, the sedge - one of their main food sources - starts to dry out and is less palatable for the bears. But in the late summer and the Fall, local creeks and rivers are alive with spawning salmon. Five species - pink salmon, coho, sockeye, chinool and chum - return to the Khutzeymateen River. "It's the pink salmon that flood the creeks and rivers which become a summer-Fall staple for grizzly bears," said Jamie. Known as the 'salmon bears' they are born in the rivers each spring, then go out to sea as juveniles and return as adults to spawn and die, completing a cycle of life that ensures the survival of not only their own species but also virtually every plant and animal in the rainforest. 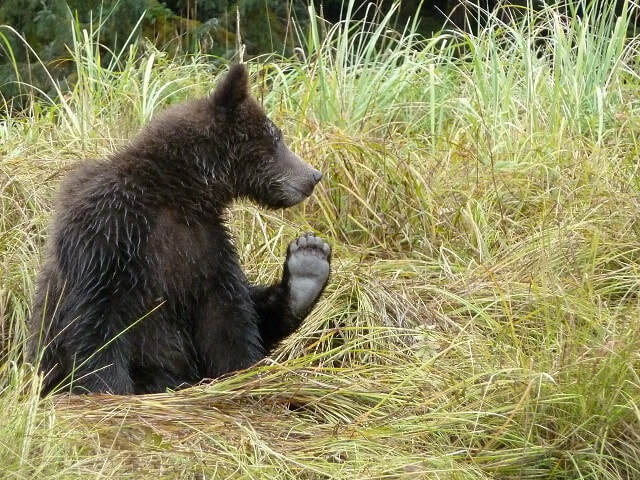 “Bear viewing opportunities are excellent throughout May to October," said Jamie. "However, while there is no guarantee the bears will appear, the probability of viewing these amazing creatures is very high. The Khutzeymateen is world renowned for the predictability of viewing grizzly bears in a true wilderness environment." It's also known in July to September as a top spot to view humpback whales hubble feeding. And there's also a chance of local orcas and transient pods of killer whales as they visit the Knutzeymateen Inlet during their summer foraging season. The whales didn't come out to play during my eight-hour visit to Khutzeymateen, but to compensate on our second zodiac run there were seals and eagles galore for all on board to get up close. 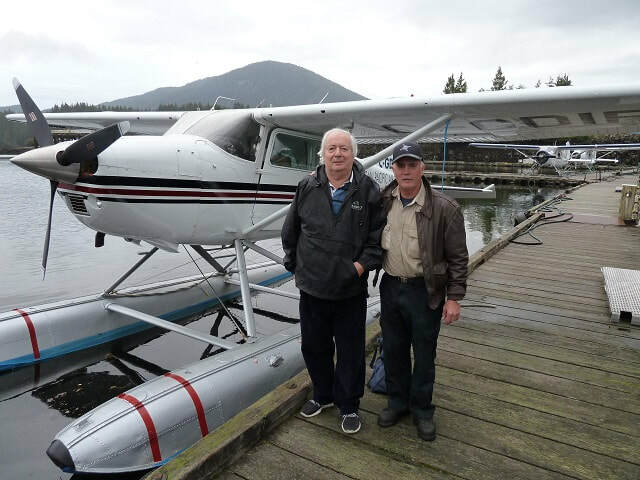 As I was clambering aboard a 1951 De Havilland Beaver seaplane - a legendary Canadian aircraft - for the return trip to Prince Rupert, Jamie revealed that one regular lady visitor hides in a bedroom when it's time to fly out. I can quite understand why she doesn't want to leave this haven of tranquility. It should be on everyone's bucket list. * In 2018, a four day/three night Khutzeymateen Discovery Tour will cost approx. CAD$2490. This includes lodge accommodation, meals, snacks, beer and wine, use of fishing gear, and kayaks. The lodge has five bedrooms, two shared washrooms. a sauna, shower, modern kitchen, an open living and dining room. and a barbecue and outdoor fire pit. 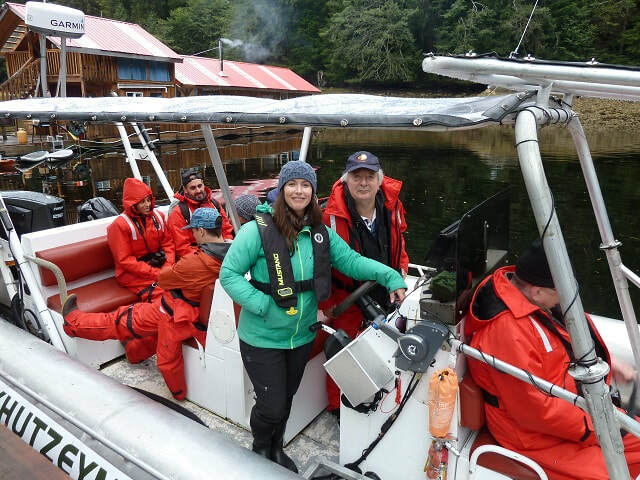 The writer was a guest of Destination Canada on the Khutzeymateen Discovery Tour. 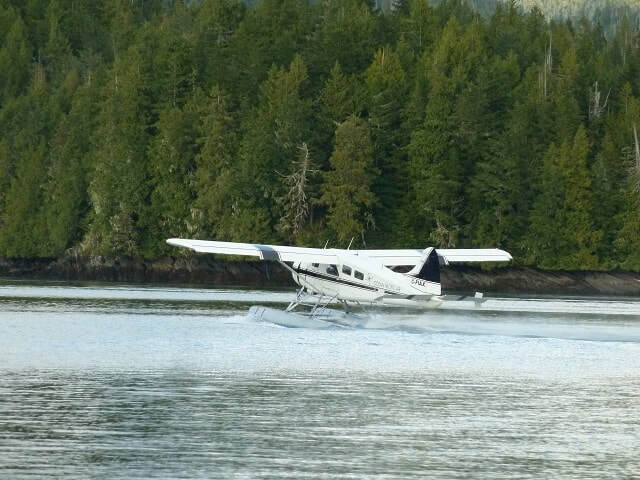 Prince Rupert-based Ocean Pacific Tours operate seaplane flights in season to Khutzeymateen Lodge. The company runs three seaplanes, including a more modern Cessna 185.